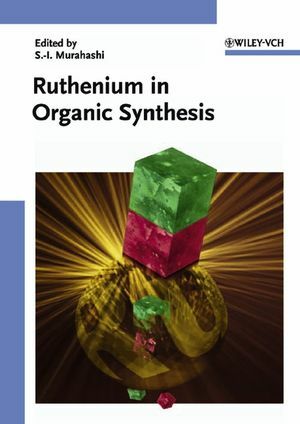 In this comprehensive book, one of the leading experts, Shun-Ichi Murahashi, presents all the important facets of modern synthetic chemistry using Ruthenium, ranging from hydrogenation to metathesis. In 14 contributions, written by an international authorship, readers will find all the information they need about this fascinating and extraordinary chemistry. The result is a high quality information source and a indispensable reading for everyone working in organometallic chemistry. Shun-Ichi Murahashi (born 1937) received his PhD from Osaka University (Japan) under Ichiro Moritani, before spending two years as a postdoctoral fellow in Ronald Breslow's group at Columbia University, New York. He joined the faculty of Osaka University upon his MS and was appointed full professor in 1979. He is now an Emeritus Professor of the university, having taken up a chair at the Okayama University of Science in 2001. Professor Murahashi holds an honorary doctorate from the University of Rennes (France) and is the recipient of numerous scientific awards, including the Award of the Chemical Society of Japan, the Humboldt Research Award, and the Minakata-Avogadro Award. His current research is focused on organometallic chemistry directed towards organic synthesis, biomimetic catalytic oxidation, ruthenium and palladium chemistry, and non-salt green processes. "The book presents an interesting overview of a fascinating area of reasearch...this book has definite value and is strongly recommended, both for experienced organic chemists who wish to learn about recent developments in the field of ruthenium catalysis, and for other readers who would like to understand some fundamental chemistry of ruthenium catalysis." "... a typical reader dipping into this book as reference material will find it rewarding."